Assuming that means you didn't get any? 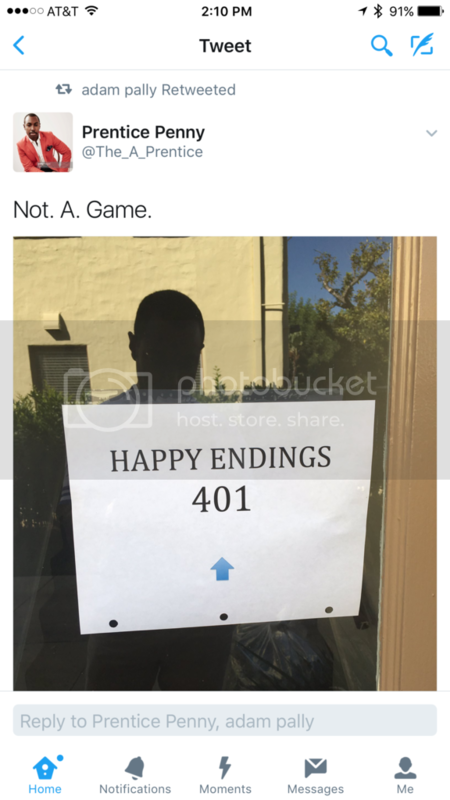 The Happy Endings writers' Twitter has been posting vids from the table read, lots of NSFW moments and big laughs-- the cast went in blind, so it's a cold read, but hopefully they post the whole script somewhere soon. Dave doing (Scott) Hamilton raps is the highlight. Was just coming in to share that Blu-ray.com seems pretty displeased with the image quality, but if you're enjoying it, why does it matter? Have to get over there at lunch tomorrow. Guessing this won't be #1 on their docket when they unlock the doors.